Spicejet reported the fourth quarter of fiscal year 2016-2017 results on June 3, 2017, a Saturday, not a working day for the financial markets. The timing of the results announcement was as interesting as the results themselves. Overall, the results were below analyst expectations and are reflective of the intensely competitive fare and capacity environment in Indian aviation. The quarter saw a challenging revenue environment. Aggressive discounting and capacity addition continued resulting in lower average fares for all carriers. Interestingly the discounting was led by Spicejet reflected in the average fare across their network of Rs 3,541. This is a clear fit with their strategy where they are targeting the leisure consumer. Comparing to the same quarter last year, revenues increased by 10% but this was largely driven by capacity. The capacity helped Spicejet maintain its marketshare of 13% but this is slowly being attacked as other airlines also add capacity. Other income declined significantly by 55%. On a per unit basis both average fares and revenues declined and were only partially offset by load-factors which stayed fairly consistent in the 92% levels and is a remarkable achievement. Finance costs were favourable and reflect the airline’s focus on paying down debt and strong renegotiation of contracts which is an ongoing exercise. Spicejet also attempted to mitigate this with additional efficiency and the overall utilisation of its fleet came to 9.6 hours (up from 9.2 hours in the previous quarter). 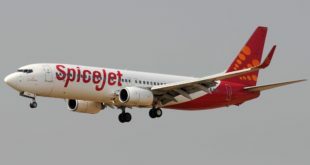 The quarter also saw Spicejet’s costs rise. Compared to the previous quarter fuel costs rose by about 14% on a per available seat kilometre (ASK) basis. This rise was common to all carriers. Lease costs also rose by two per cent indicative of higher lease rates paid for the latest Bombardier Q400 additions to the fleet. 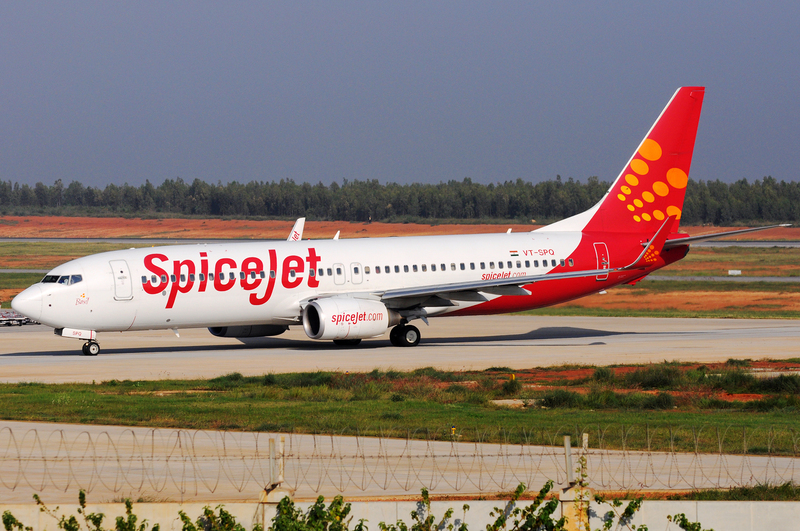 Spicejet ended the quarter with a fleet of 51 aircraft including 33 Boeing 737s and 18 Q400s. Comparing to the same quarter last year, fuel costs rose by 68% and airport charges by 21%. Both these costs are outside the control of the airline and will likely affect profitability going forward. The higher airport costs are on account of Airports Authority of India (AAI) which has indicated a 10% increase in navigation charges (Bangalore Aviation has learnt that this charge is being opposed by airlines collectively and a rollback may be on the cards). Employee costs also rose 38% compared to the same quarter last year. These were driven by retention incentives and higher pilot costs. The airline was still profitable in the quarter and while profits were only 41.6 crores it was the ninth consecutive profitable quarter. This is critical to its stock price, expansion plans and overall morale and while the profits were below expectations, the focus on load factors, marketing and constant sales helped. Balance sheet strength remains of concern though and as of March 31, 2017, the company has a negative net worth of 609 crores. Auditors have noted that these factors result in a material uncertainty that may cause significant doubt about the Company’s ability to continue as a going concern. The aircraft order placed in January will undoubtedly help assure investors as Boeing would not have signed up a sizeable order without clearly establishing the ability to pay for these orders. The financing markets remain quite liquid so arranging for financing on these aircraft is very likely. For FY18, Spicejet faces a number of challenges on all fronts. Chief among these is their Q400 dominance being challenged by Indigo (which is working towards launching ATR operations by September). Add to that revenue pressures as a result of capacity additions and aggressive discounting by competitors. Cost pressures will also continue to rise. 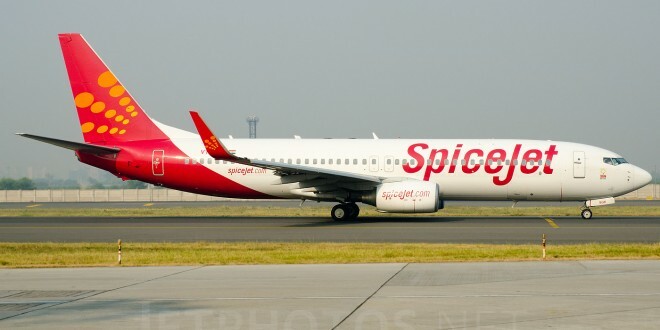 While Spicejet has been granted 6 routes under the first round bidding of the UDAN (regional connectivity) scheme which will give it exclusivity of operations; the second round of bidding is likely to witness changes to the policy (actively being discussed in the ministry). Additional competition on regional routes while good for passengers will lead to further yield pressures. On the international front, the Middle East is witnessing a challenging situation with regards to oil prices and traffic flows and that too will impact Spicejet on its international network exposure (which usually has a higher yield and helps balance seasonality of the domestic network). New avenues to generate revenues will have to be sought and indeed Spicejet is exploring any and all possibilities including the launch of Wifi services, new merchandising initiatives and also low-cost-long-haul. As always Bangalore Aviation will report further updates along with critical analysis as the annual report is released. And as always we invite you to share your thoughts via a comment.